Yee Hong Centre for Geriatric Care produces various Corporate Performance Reports to meet our reporting requirements. Click to download the full Strategic Plan document. 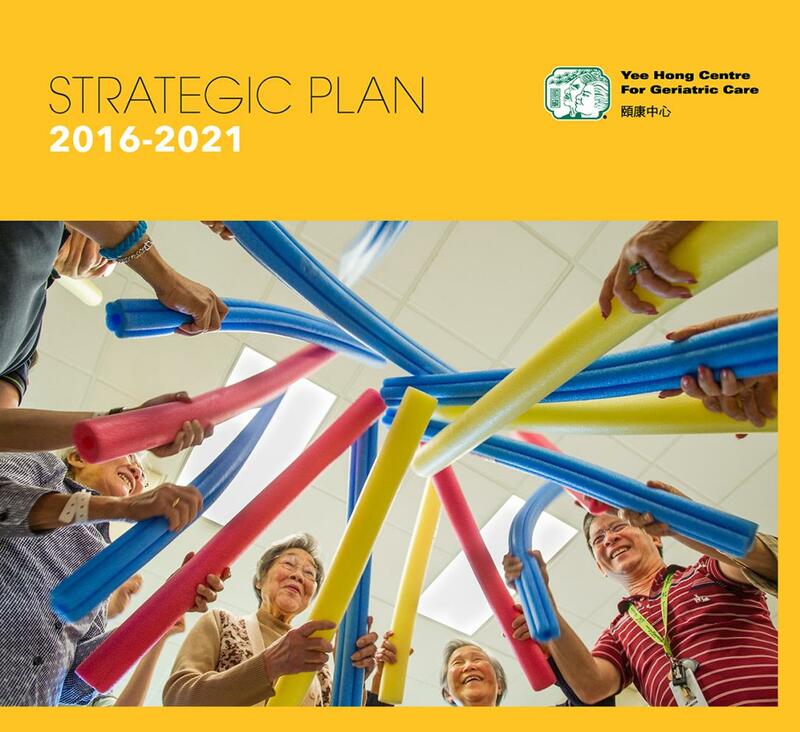 Click to download the Strategic Plan summary brochure. Click to download the 2017 Corporate Performance Report. Explore new means of delivering services to an increasingly complex client population. Develop organizational capacity to support an expanded range of service offerings. Promote a quality culture throughout the organization. Enhance capacity for knowledge exchange enterprises. Make effective contributions to public policy development processes. Build a strong network of partners to meet the organization’s goals. Balance social impact and sustainability. The Yee Hong Centre for Geriatric Care is strongly committed to client safety. This is evident in our efforts to improve client safety, eliminate potential risks, and report actual or potential injuries and events. Our Corporate and Divisional Quality Committees regularly review incidents and reports. Annual Quality Improvement Plans (QIP) are submitted to Health Quality Ontario as a mandated requirement and posted publicly. The Corporate Privacy Officer can be reached at 416-412-4571 ext. 1170 to answer questions and facilitate resolution of privacy issues. The Yee Hong Centre has developed Emergency Preparedness and Pandemic Planning, Fire Safety, and Influenza Pandemic Response Plans. Up-to-date information will be posted on this website. The Yee Hong Centre Pandemic Information Hotline with have pre-recorded information messages in the following languages: English, Chinese (Cantonese/Mandarin), including Punjabi, Japanese, and Tagalog (subject to availability of resources). The Yee Hong Centre strives to provide our goods and services in a way that respects the dignity and independence of people with disabilities. We welcome people with disabilities, including those who are accompanied by a service animal, and those who are accompanied by a support person. We encourage people with disabilities to seek support as required in using assistive devices. Reasonable efforts will be made to communicate with a person with a disability, taking the person’s disability into account. We have policies that include guidelines on Accessibility Standards for Customer Service (available upon request). Please contact the Yee Hong location or specific facility directly to make arrangements in advance. Yee Hong will make reasonable efforts to provide notice in the event of a disruption in the facilities or services, which impacts people with disabilities. The notice will include reasons for the disruption, anticipated duration and a description of alternative facilities or services available. Yee Hong welcomes client feedback from members of the public about the delivery of goods and services. Feedback may be given by telephone, completion of the Client Feedback Form, email or in writing.